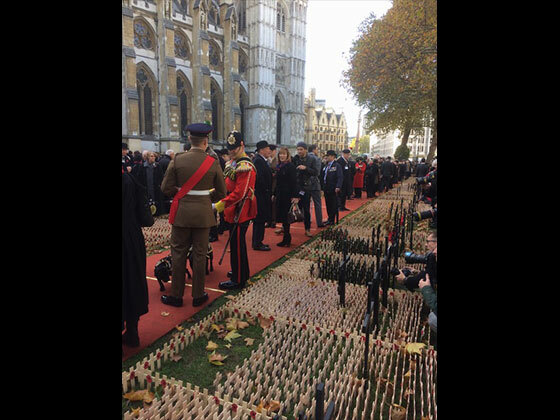 The Master and the Immediate Past Master were invited by the Mercian Regiment to join them at the service opening the Field of Remembrance at Westminster Abbey on Thursday 8 November. 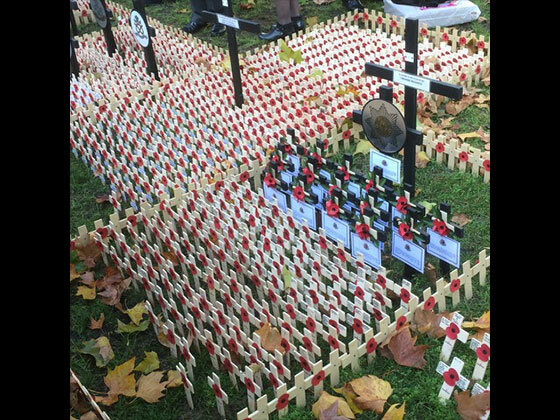 The entire British Army was represented, each Regiment having its own memorial area with crosses for each soldier who had died on operations over the years. 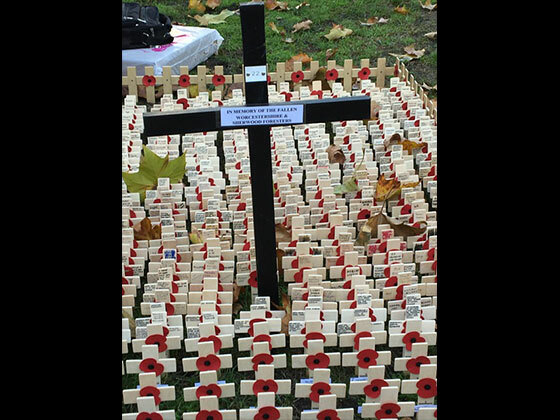 The Mercian Regiment plot, together with its antecedent regiments had very many crosses. 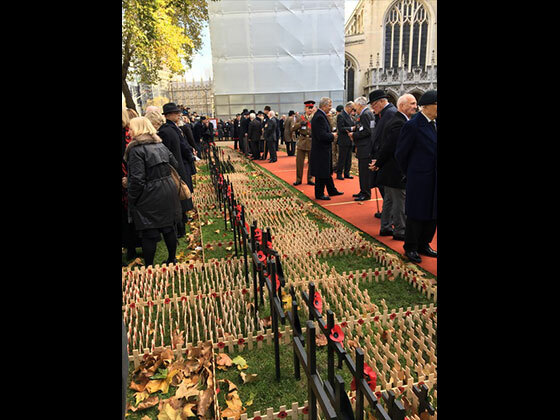 The Field of Remembrance, now in its 90th year, has been organised by the Poppy Factory since 1928. 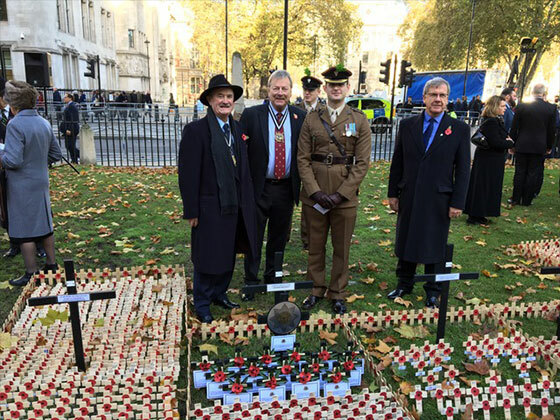 The Duke of Sussex was in attendance and he was invited to lay a cross of remembrance in front of two wooden crosses from the graves of unknown soldiers, one from each world war. 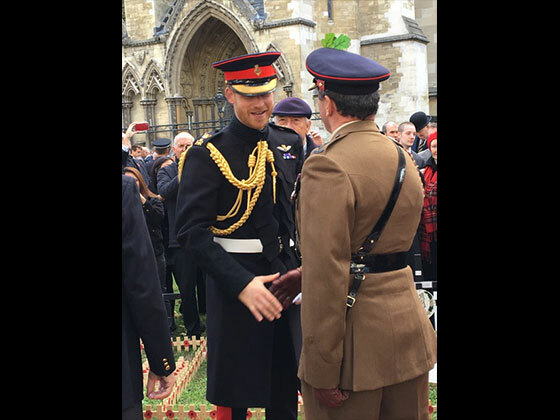 Following the Last Post, (salute up on the first note, down on the last), and a two minute silence, Prince Harry toured the Garden to meet the Veterans. It was a most memorable day and we were very privileged to be present.